The E30 generation BMW 3-series was a successful yuppy-mobile when new and has generated a significant cult following as a cheap, fun & reliable sports sedan. 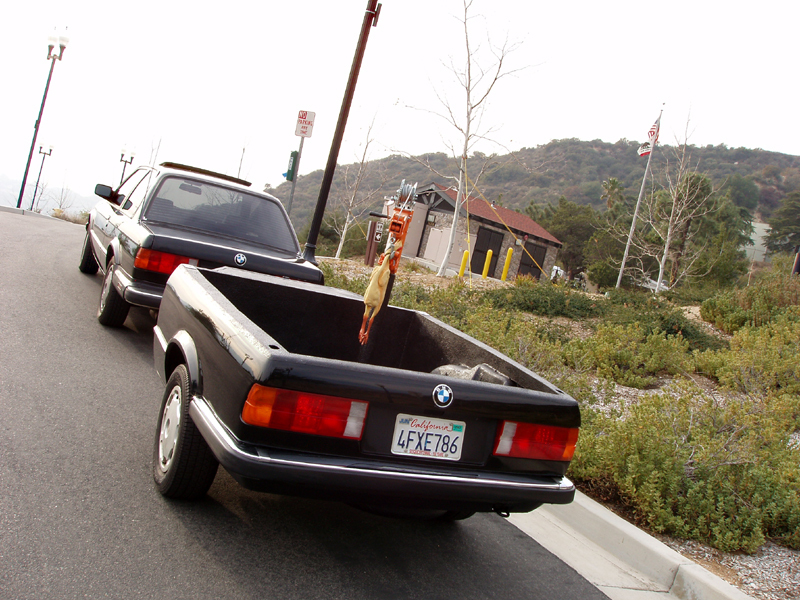 BMW built almost 2.5 million E30s from 1982-1994 in coupe, sedan, estate & convertible trim, but they never built a 'trailer' version...so an E30 fanatic from California did it for them. 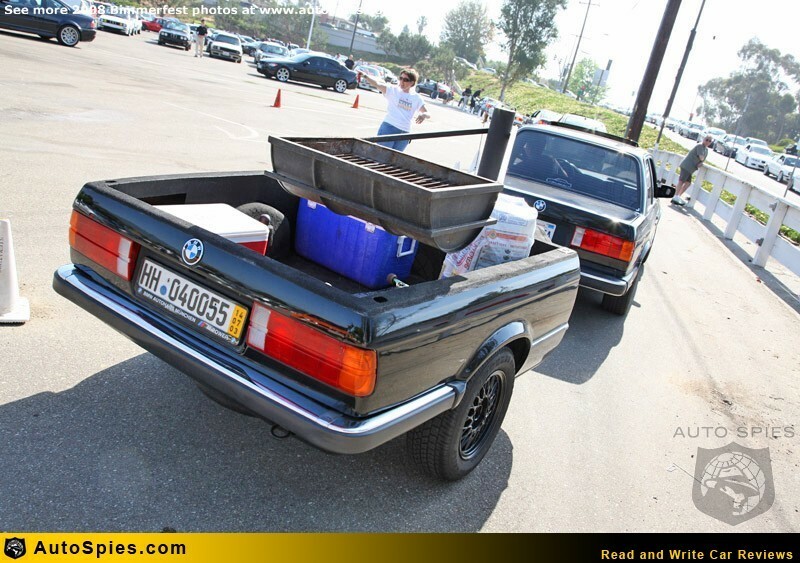 This one of a kind 1987 BMW E30 trailer is for sale in La Crescenta, CA currently bidding on ebay for $100 reserve-not-met. As detailed in the r3vlimited.com build thread, a wrecked E30 was relieved of its engine/trans and cut into two pieces - the front end heading to the scrap yard and the rear was transformed into a wicked trailer. 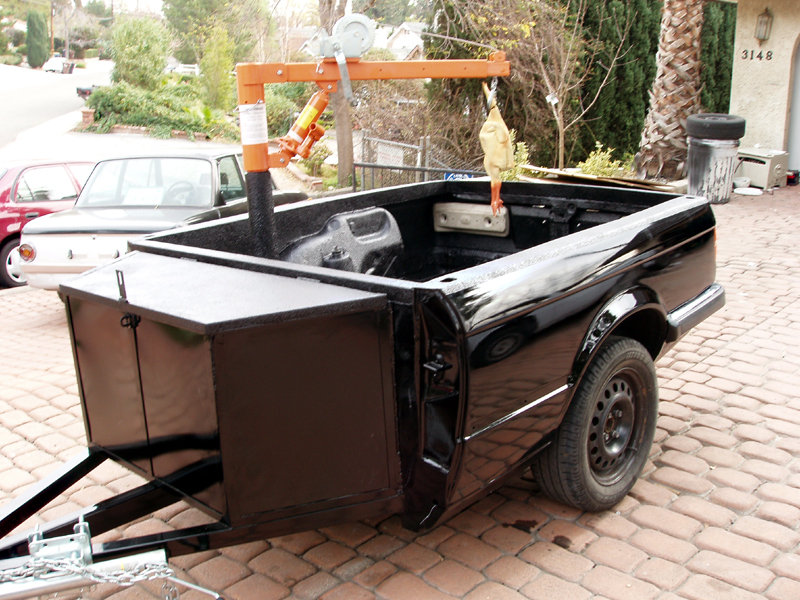 The inside has been covered in truck bed liner and the front has a lockable steel storage box. While most E30s spend their days barbequing head-gaskets and coolant expansion tanks - this E30 tail will let you barbeque all manner of meats and veggies on its swing-out grill. The swing-out charcoal grill is a cool part of this custom setup and useful for tailgating at a BMW meeting and greet when you aren't tailgating slower vehicles in your BMW. We actually prefer the trailer in its Harbor Freight crane hanging-a-rubber-chicken setup from right after it was painted (in a driveway)...because a crane adds considerable useability to a trailer and avoids much of the lumbar disc herniating labor involved with hauling junk in/out of what is basically a pickup bed without a tailgate. A blue plastic tarp and a garden hose would turn this into the most epic moving E30 hot tub ever. 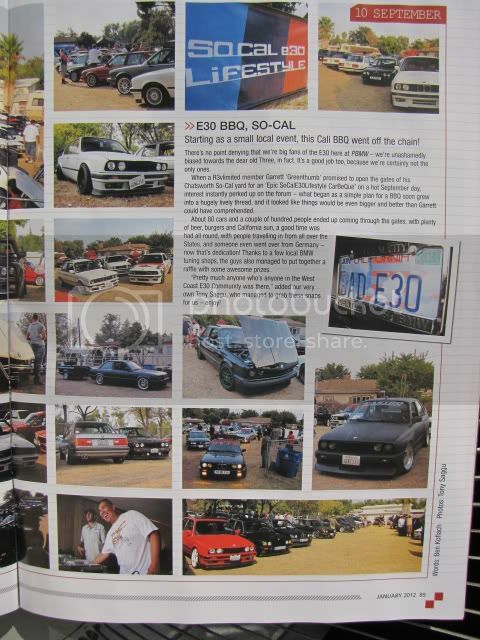 A pic of the trailer was featured in the Jan 2012 edition of BMW's Performance Magazine from a SoCal BBQ meet, and it will definitely turn heads around town. To give you an idea of where the reserve may be set -the seller also had it listed in the bimmerforums.com classifieds for $1k firm last month. 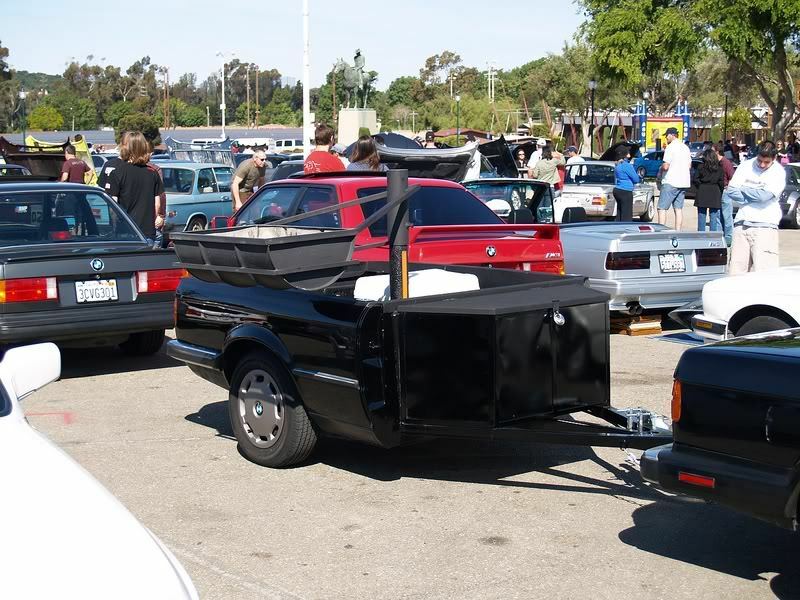 If you've got a black E30 and need a matching trailer - this is a lot of labor/time for the money, we give it two rubber chicken thumbs up! Shouldn't this be featured on the website "Buy-a-Trailer"? Or am I getting confused again?